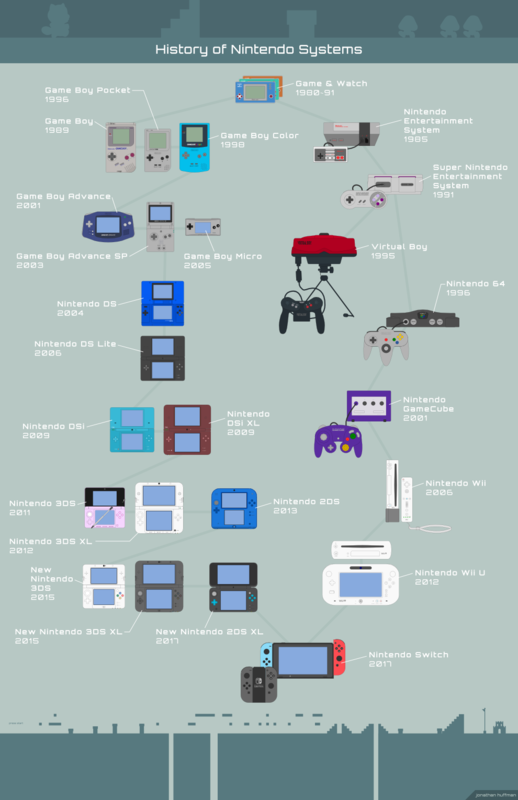 My love for Nintendo motivated me to make this chart of all of the Nintendo systems (consoles and portables) to date. One thing I noticed as I drew all of the different systems is that while they each look so unique, they also have many design elements carried over from one system to the next. There is a design-DNA to Nintendo's hardware. You see it's roots retained as it evolved over time.